Are you searching for HDFC Bank bank jobs? 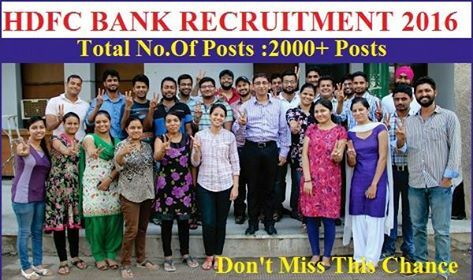 HDFC has huge recruitment for freshers and experienced candidates. Want to apply for it? Now check it below. Education : MBA, P.G.D.B.A, P.G.D.B.M.